Haddon Township Commission candidates Ryan Linhart (left) and Jim Mulroy). Credit: Matt Skoufalos. Jim Mulroy will defend his recent appointment to the township government from challenger Ryan Linhart in a May 9 special election. In February, the surprise resignation of Haddon Township Commissioner John Foley left a vacancy on the borough government that was swiftly filled with the appointment of longtime school board member Jim Mulroy. Mulroy was sworn in less than a week later, just a few days ahead of the March 6 filing deadline for the May 9 local government elections, but first-timer Ryan Linhart got enough signatures to complete his petition and challenge for the seat. 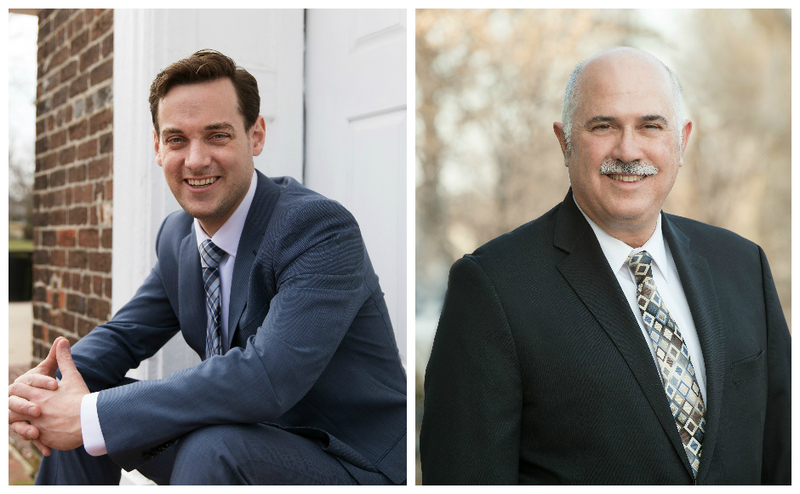 Linhart and Mulroy are the only candidates who will appear on the ballot, setting up one of only a handful of contested local elections, and the first in Haddon Township since Commissioners Randy Teague, Paul Dougherty, and Foley ran unopposed two years ago. NJ Pen invited Linhart and Mulroy to reply to a brief questionnaire outlining their philosophies of government, political experience, and plans for the future direction of the borough. Their responses have been condensed for length or clarity below. Ryan Linhart. Credit: Ryan Linhart. Financial analyst Ryan Linhart is a six-year Haddon Township resident who is raising two sons in the Bluebird section of the township with his wife, Genevieve. Despite having never held elected office, Linhart has served a number of volunteer roles within the community in his time there. For the past two years, Linhart chaired a neighborhood committee to restore the New Jersey Avenue public park, which is scheduled to reopen next month. He has served on the Haddon Township Shade Tree Commission, participated in the Delaware River Port Authority Citizen’s Advisory Committee, and is an Eagle Scout who has worked at the Philmont Scout Ranch in New Mexico. 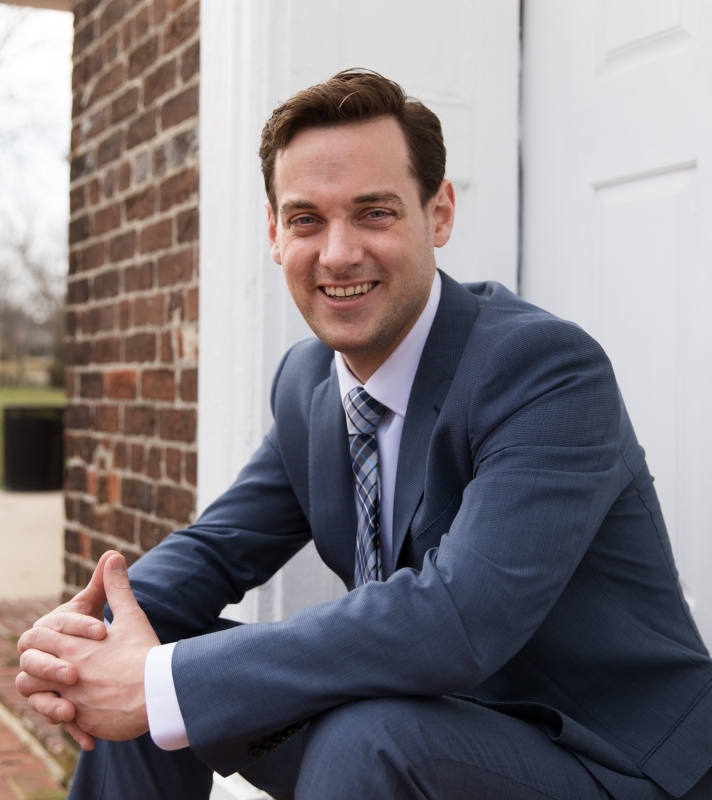 Linhart has a bachelor’s degree in geography from Rutgers, and is completing a master’s degree in public administration at the University of Pennsylvania. He also attended Berklee College of Music, and credits a love of music with giving him an appreciation for the arts and a collaborative spirit. What’s your philosophy of government? I believe it is the responsibility of the government to always operate for the good of the people: to manage resources and ensure we have a stable community and environment while operating without limiting or making decisions on behalf of the people that infringe on personal rights. I’m running to make a difference, to improve people’s lives and the world we inhabit. It was never a question of why I am running for office, but more a matter of when. Participating in the government is something I’ve always been passionate about, and after participating in different capacities, I believe running for commissioner is the next step. When this special election was announced, I followed my instincts and decided to jump in. Some folks do not like addressing the uneasy, awkward issues like running for office without asking for “permission” [from local political parties], but dealing with ambiguity is just what politics is. There’s a leap of faith you have to take when deciding to run, but every bone in my body told me now was the time. What are the biggest challenges the borough will face in the next four years? The first challenge is ensuring a proper and just resolution of the legal issues surrounding the township police force. Second, the United States is due for another recession, and I think it’s important to safeguard our township’s assets where we can. The third challenge is to improve the streets and traffic for pedestrians, cyclists, and automobiles. I think we should be proactive in addressing opportunities to redesign as they arise, starting with the Camden County-funded resurfacing of Haddon Avenue in 2018. There is a lot of hidden potential, and working with the neighboring towns could help us use this project to also launch us into the future and increase our town’s walkability, making Haddon Township a greater destination. What are the borough’s greatest strengths? Haddon Township has charm, a great location, and some of the most passionate and involved citizens in the area. There is a subtle pride I see in lifelong residents with generational history in town. I’ve spent just under a quarter of my life here, but fell in love instantly. It doesn’t take a lifetime to know a good thing and want to get involved. People care for Haddon Township and want to be sure the stewards they elect feel the same way. If elected, what are your top three priorities for your term on the borough commission? Given that the position will be up for reelection in two years, I think resolving the legal issues with the police force and planning for the 2018 resurfacing of Haddon Avenue should be prioritized. These issues are already in motion, and being proactive is the only way to ensure the best interests of the town are met. I would also like to get creative and explore implementing cost-saving and environmentally sustainable practices. Jim Mulroy. Credit: Jim Mulroy. A trial attorney with the Cherry Hill firm of Green, Lundgren & Ryan, lifelong Haddon Township resident Jim Mulroy has an extensive public service career in his local community. Mulroy served on the Haddon Township Board of Education for 14 years, was a member of the township planning board for two, and spent eight years as the president of the HTAA Little League. He his wife, Tammy, have raised four sons in the township, and he is the current sitting commissioner on the local governing body, having been appointed to replace John Foley, who resigned in February. Mulroy also has coached local youth baseball and soccer teams, and is a lector and parishioner at St. Vincent Pallotti Church. 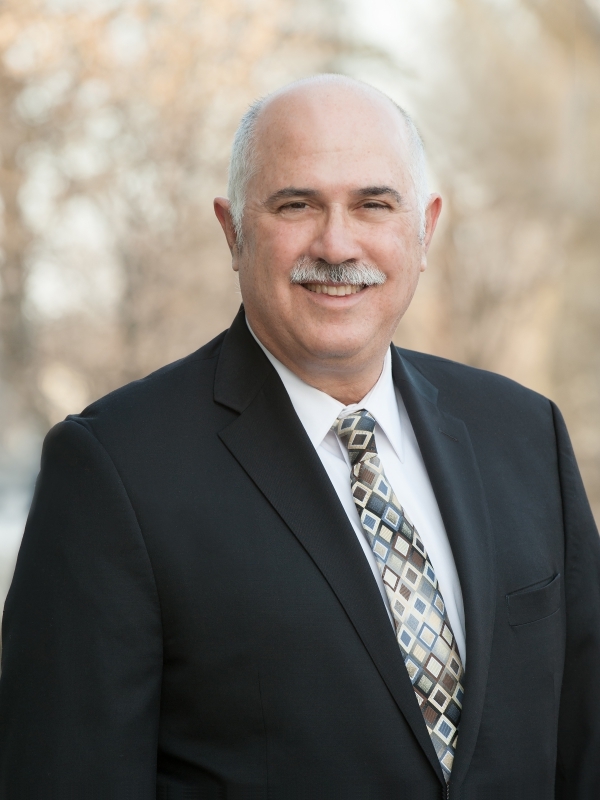 He holds a Juris Doctorate from Valparaiso and a bachelor’s degree in economics from Rutgers New Brunswick. Interaction with the public is very important. You cannot do the job without listening to people’s complaints and advice and comments. You’re still guided by your own conscience and feelings of what’s right and wrong. It’s a learning process for me as well because I don’t always know the answer. You have to deal on a day-to-day basis with current problems, whether it’s balancing the budget or dealing with issues that need to be addressed today. It’s also important to have a vision with regard for what you want the town to be five, 10 years down the road; where you would want the town to go long after you stop being in a position of authority. People get very cynical about the political process, perhaps rightly so, but I never imagined I would be able to become commissioner literally by simply saying yes; by making no promises whatsoever. That gives me a certain degree of freedom, and doesn’t compromise my views of right and wrong. I’ve already gone through the crucible of parents making sure their children’s experience in education and athletics is the best it can be. Realistically, they just want things to be right for their family. There’s a certain fortitude that you have to develop to hold onto your core beliefs. People do want you to change who you are for political expediency, and in politics, you need a moral compass. Once you lose that, then you’re blowing in the wind. What are the biggest challenges the township will face in the next four years? Trying to balance the budget every year with costs going up is a problem. Healthcare benefits go up much faster than the rate of inflation, and that strains the budget. Those healthcare issues have to be resolved at a level higher than municipal government. One of the issues going forward will be, as Haddon Towne Center fills up, a demand for more services. I think entrepreneurs will look at the number of people there as a market for them to come in and provide services. Looking down Haddon Avenue towards Collingswood, I was wondering how Haddon Avenue is going to change; whether it’s going to become more built up, whether some of the buildings that have been there for years are going to change. To some degree, you want the town moving forward, but you don’t want to lose the character and culture of the area. That is a challenge for the planning board and the commissioners. I could see people needing more activities for teenagers. My wife grew up in an area where the Boys and Girls Clubs were very strong; unfortunately, those types of things are not offered here. I know there’s a number of businesses that want to come in, and I would really hope that there would be more things for under-18-year-olds to do rather than them trying to come up with their own ideas. I’m noticing significant turnover of families in Haddon Township. We seem to be getting younger. There’s more families moving in, and I think that’s a testament to the family-friendly environment that’s in Haddon Township. I have four kids who are in their 20s, and I talk to them about what’s important to them. It’s very educational to me because their perspective is different from mine when I was their age. They want to be close to the city, where my generation perhaps wanted to move to Medford and Mt. Laurel and live in big houses. The trend now is to be close to services, like restaurants and theaters, that are important. They like going to concerts; they don’t like driving cars perhaps as much as I did. Haddon Township, for its location, is perhaps coming back into style. I think the trend is moving in favor of us being a place where people want to live. I’d like to think that Haddon Township has a good competitive mix for families. Hopefully, we can continue to be competitive that way with adjoining towns. The zero-percent municipal tax [increase] helps. Short-term 2017, the number-one priority will be to sit down with representatives of the police and PBA and hammer out a new contract. They’re out of contract right now. I have talked to them, and they’ve been very cooperative. They were willing to start negotiations with me, and we eventually made a decision to hold off until after May 9. My feeling was that it would be unfair to them to begin negotiations with one person without any assurance that that person would be there May 10. I’m interested in seeing how the Haddon Avenue project with the county is going to roll out. I’m interested in the green space directly next to the Westmont Theater. [As a] pop-up park, there’s an organized spontaneity to it; it can be whatever people are interested in. There’s planning to make sure that there’s electricity there so that whatever we choose to do in that area can be powered. I think something like that will fuel the creativity of people in town during the nice months, and it draws people into the area. Where’s my polling place? Use this finder to search by address, or click here for a list. Am I registered to vote? This tool can help you determine if you’re ready to head to the booth. Polling place problem or question? Call the Board of Elections at 856-401-8683. First-time voter? Here’s a video from the League of Women voters about what to expect at the booth.